Buckman crime this week includes 10 thefts, 3 assaults, 5 property crime calls, and 14 vehicle calls. In vehicle calls, there were 7 hit and run accidents and 7 non-injury accidents. The property crime calls include 4 vandalism calls and 1 stolen vehicle call. 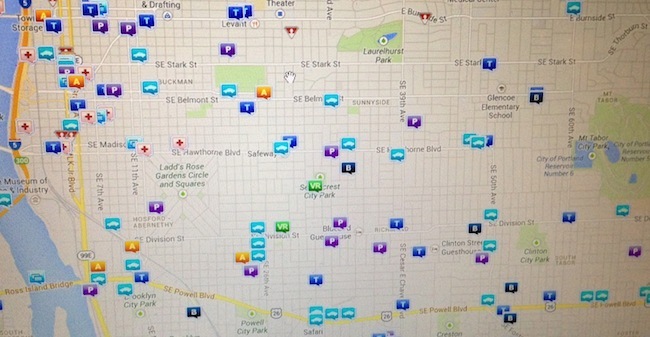 Multiple incidents reported: Hawthorne and 12th (1 hit and run and 1 non-injury accident); Washington and Grand (1 hit and run accident and 1 non-injury accident); Morrison and Grand (1 non-injury accident and 1 hit and run accident); Salmon and 8th (2 hazardous conditions calls); Burnside and 9th (1 non-injury accident and 1 medical assist call). The Buckman neighborhood boundaries are: Burnside Ave. to the north, 25th Ave. to the east, Hawthorne Ave. to the south, and the Willamette River to the west. For more information on any incident, visit CrimeReports.com.